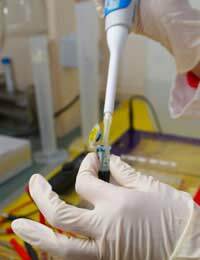 DNA testing for disease is an important way to assess a person's susceptibility to a disease or to identify if they carry any mutations that are responsible for a particular disorder. Genetic disorders are caused by DNA mutations that can occur when the normal sequence is interrupted through an omission, substitution or deletion in the DNA. These changes may occur rather randomly and they can be inheritable as well. Other triggers of mutations include environmental toxins such as ionising radiation. When a mutation occurs, the body's cells are unable to produce all of the proteins needed for health. Proteins might be produced that do not work as they should or the body may simply not make them at all. When the protein affected is a particularly important one, the consequences can be quite dangerous and the individual may end up having a genetic disorder. There are many benefits for genetic testing. This type of testing can help to make a prediction of a disease or alternately, provide a diagnosis of a disease that occurs as a result of a mutation within your genes. There are numerous reasons why a person may choose to obtain genetic testing. It may be to assess your personal risk level for a disease. Gene tests can predict if you have a specific genetic mutation that raises your risk of having a disease. Sometimes, you may have no indications of a disease at all in terms of symptoms but if your familial history is particularly high for a certain disease or disorder, it can be helpful to assess your individual risk level. For example, there are tests to check for cancer genes such as BRCA1 and BRCA2, both of which can indicate susceptibility to breast or ovarian cancer. Some women even choose to undergo a preventative treatment such as a mastectomy following the results of genetic testing for these two cancer genes. Another use for genetic disease testing is to confirm a previous diagnosis. This allows a physician to create an effective plan for the provision of your medical care. Also helpful is the use of disease testing for prenatal care. Parents may wish to assess if a foetus is at a raised risk for a specific genetic disease or abnormality. There is also disease testing for newborns who have a genetic disease and even for parents who wish to gauge whether they have the genes for a hereditary disease that may then be passed to their child. Is Disease Testing Right for Me? Whether or not disease testing is right for you is an intimately personal choice that can be aided by a discussion with your doctor. It's important to look at your reasons for wishing to have testing performed and to also assess the benefits of testing as well as how you wish to proceed should you obtain the testing. An important aspect of disease testing that you should keep in mind is that there are many advertisements cropping up for disease testing. They promise to provide results that will tell you what disease you are at risk for, but studies have shown that some can be highly inaccurate and may provide recommendations that are inappropriate. It is wise to have any testing done under the supervision of your doctor to ensure accuracy and reliable information following the results. Alternately, if you choose to use a commercial company, proceed with caution and do your own research on the reputation and success of the company. Ultimately, disease testing has many benefits and can be an important aspect of your healthcare, provided it is used wisely and performed by a reputable laboratory facility.